Pick your own colour schemes, use testers and decide on the perfect colour scheme for your kitchen. 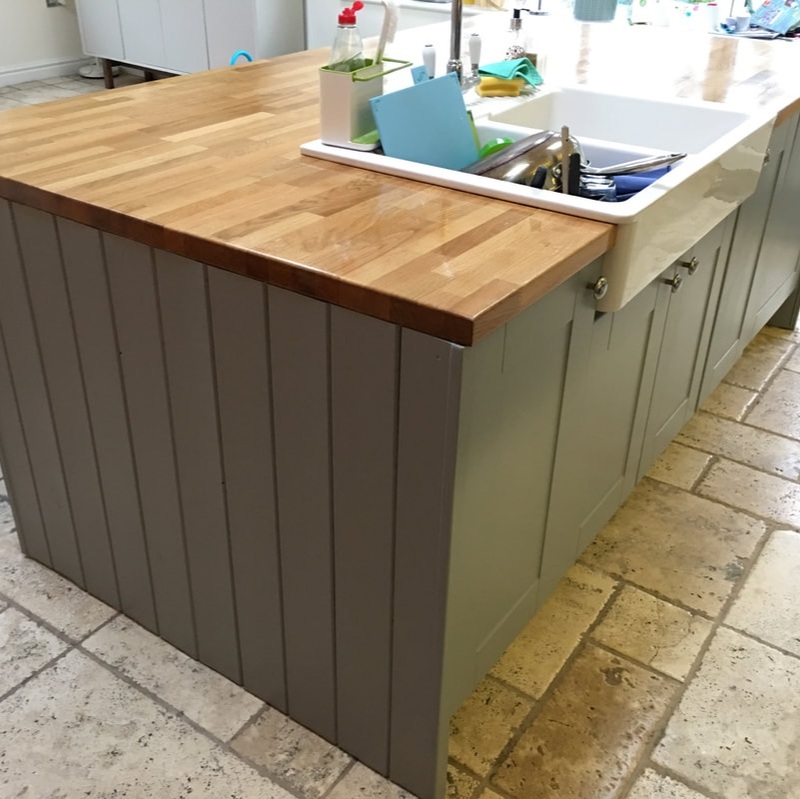 Have you ever considered having your kitchen cupboards painted instead of replaced? 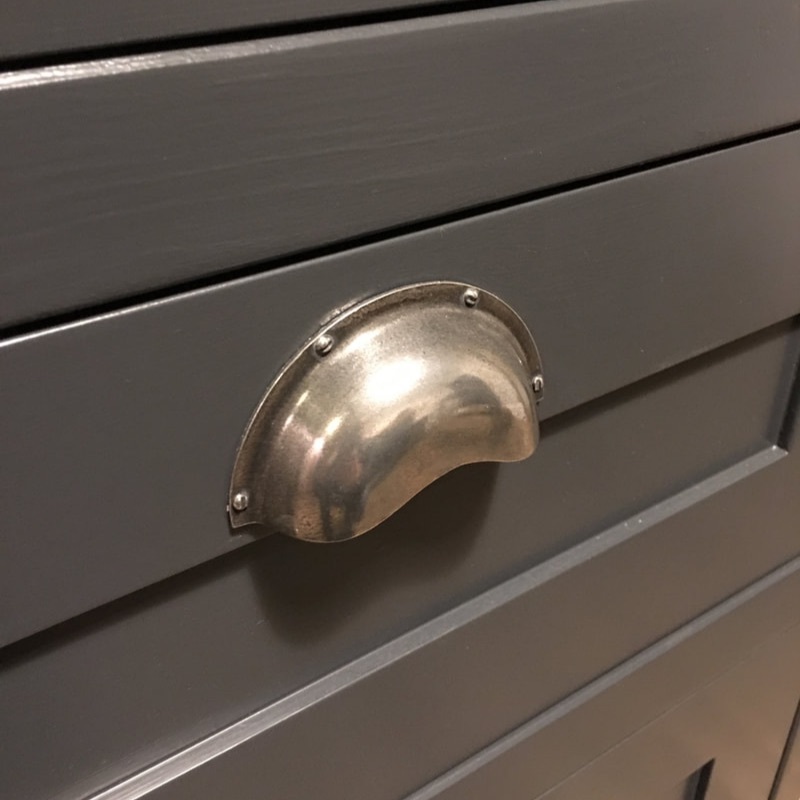 Perhaps having the handles swapped to suit too? 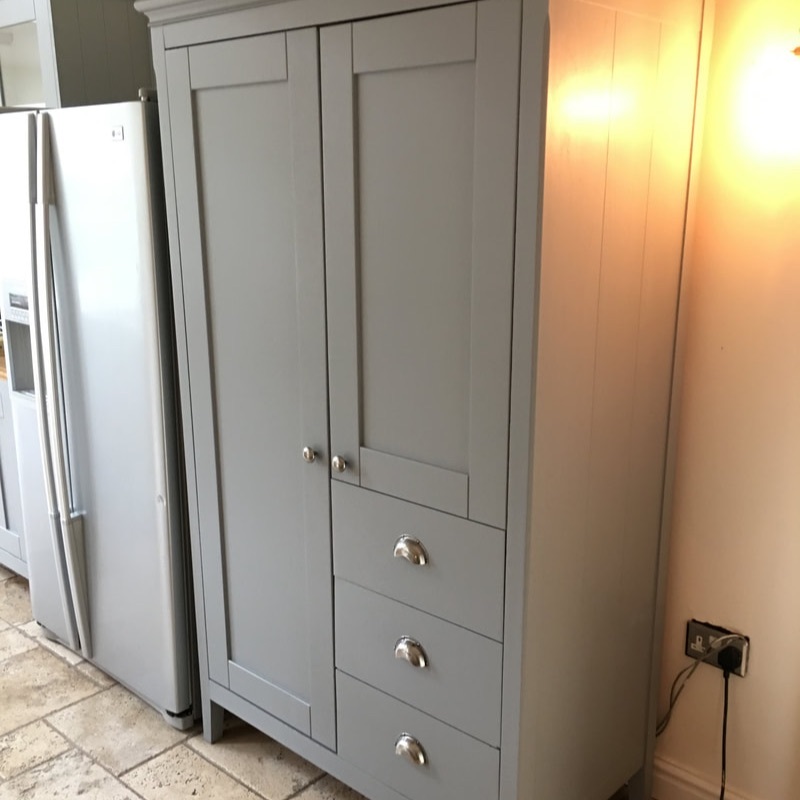 Layout and design are often not the issue with how your kitchen looks - quite often perfectly good kitchen units are discarded because of their appearance; with a little creativity you can have fresh, newly finished kitchen cupboards, different knobs, handles and hinges that will completely transform the appearance of your kitchen.... without having to pay a substantial amount to replace everything. Doors and cupboards are removed and taken to our workshop to be stripped, repainted and ironmongery replaced (if required). 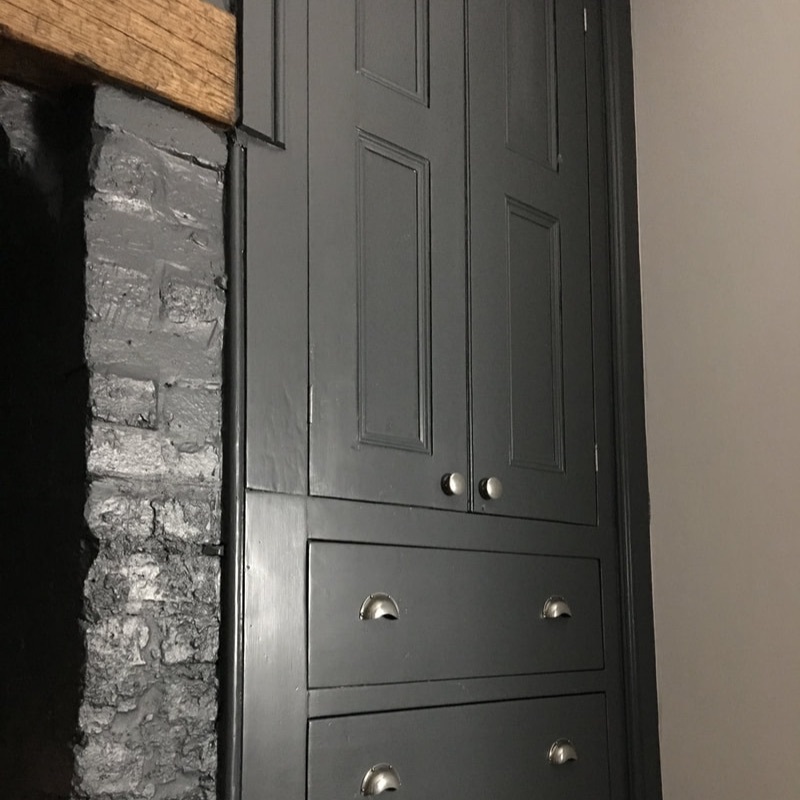 Cupboard frames and carcasses are stripped where required (the areas seen when the doors are shut), insides masked up and re-painted on site. Surrounding surfaces not requiring paint are masked with temporary plastic sheeting. 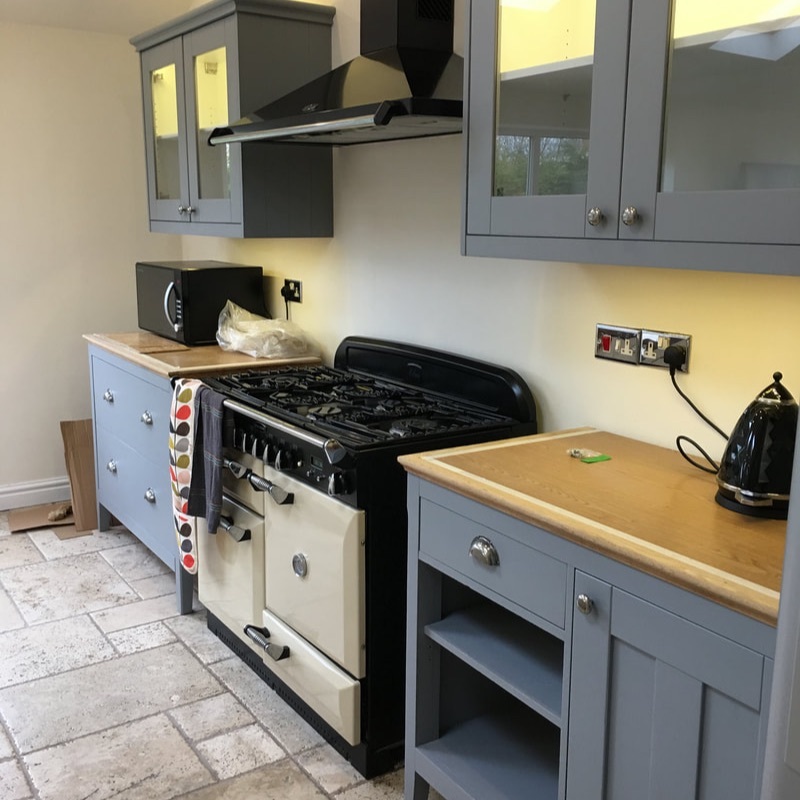 Kitchen units are painted with a mixture of spray and brush applications and are coated in tough, durable paint systems that are designed with kitchen use in mind. When complete and dry, the doors are returned and re-hung. - damaged or broken hinges can be replaced. 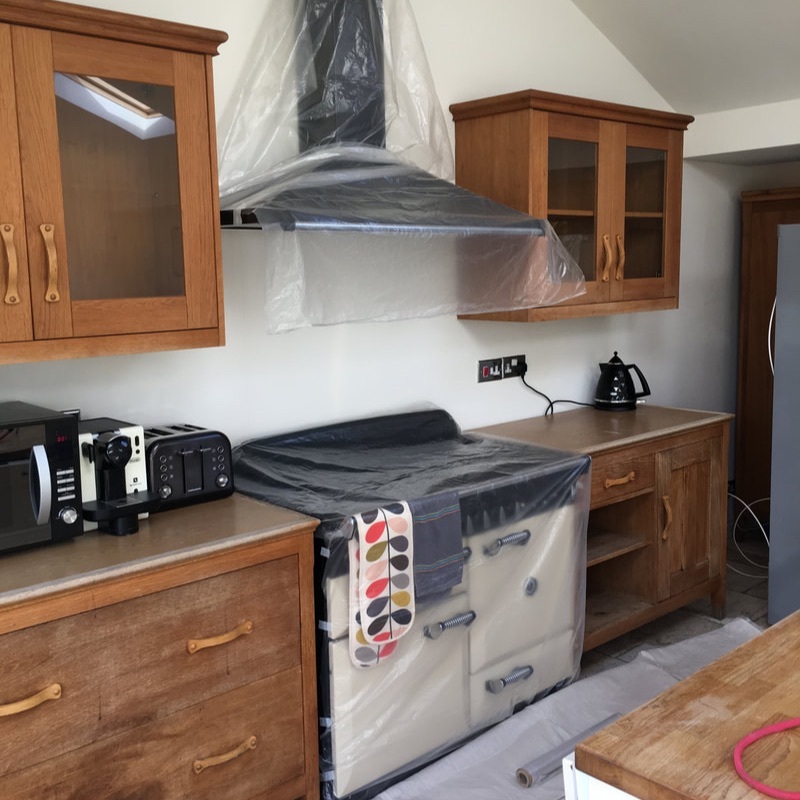 If you would like a price to have your kitchen units refinished please contact us with your location and specific requirements. 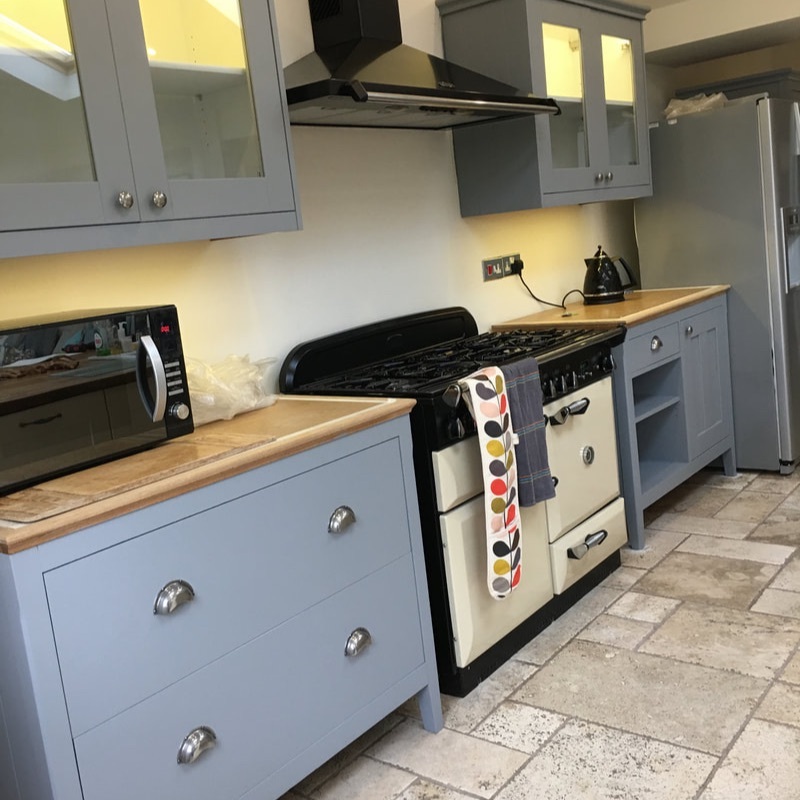 Sending a photograph of your kitchen, showing all units will enable an estimate to be provided.